Beautiful dog bowls for dogs with great taste. 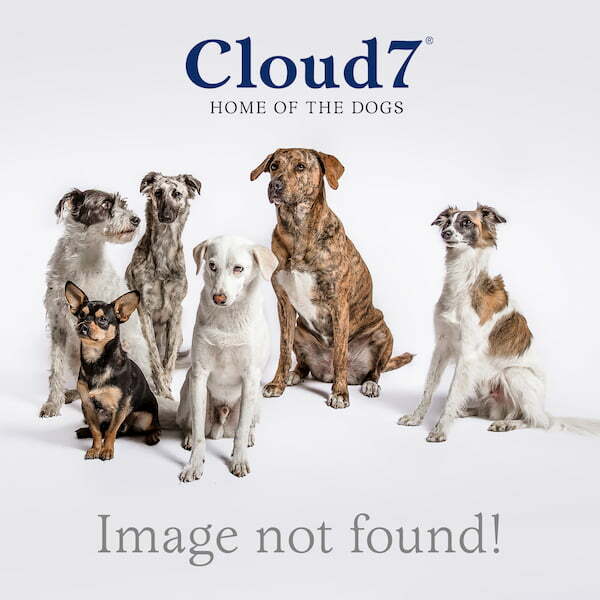 If dogs could surf the Cloud7 website themselves, the page with the beautiful feeding bowls would probably be the most read. Because for most dogs, feeding time is the most beautiful time of day. Whether feeding once, twice or more often during the day — the dog's internal clock has the precision of a Swiss chronograph. Woe is the home that has a master that’s late for dinner. It does not matter whether you use dry food or wet food, barbeque or cook yourself: it always tastes good from a beautiful Cloud7 dog bowl. The ceramic dog bowls by Cloud7 will turn heads in any kitchen. With names inspired by world-famous chefs, the ceramic bowls are handcrafted with an elegant design. From various designs and sizes to choose from, Cloud7 dog bowls JAMIE, OLIVER, FERRAN, YOJI or our CHALK bowl all have in common that they are all very robust and naturally dishwasher safe. Enamel has existed since well before grandmother’s time — and now it’s making a contemporary appearance at Cloud 7 in the particularly beautiful dog bowl GRANNY from Cloud7. Thanks to the thin enamel coating, the dog bowls are not only especially light but also robust and simplistic. The GRANNY dog bowl is also available with a lid — perfect for thawing raw dog food, or for the dog that doesn’t gobble everything up in one sitting.